Located at 17 Krakowskie Przedmieście, Galeria Art – part of the Warsaw Department of the Association of Polish Artists and Designers – has been operating since 1963 and for the last 20 years managed by Wojciech Tuleya, an art historian and dealer, manager, and recipient of the award ‘for contributions to the global advancement of the Association of Polish Artists and Designers’. He is a splendid organiser, who has skilfully run the gallery though numerous crises, and a skilled talent spotter not afraid to co-operate with young and gifted artists. The scope of the gallery’s activities is wide – from modern art on sale, via exhibitions to printing and publishing. 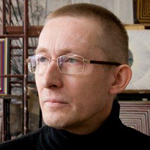 A co-manager of the gallery is Bogusław Deptuła, a renowned art critic, an arbiter of sophisticated elegance, and the editor-in-chief of the ’Art & Business’ monthly. 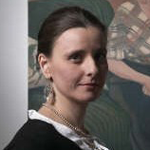 The gallery also receives literary and editorial support from Małgorzata Czyńska – an art historian, journalist, curator and an editor of the Galeria Art website and publications. What unites the three people is their faith in good quality painting, despite the common belief that this form of art as medium is gone. In Galeria Art painting is doing just fine and art dealers present works by both recognised artists and debutants, who are often still students of art academies, caring about their development and working comfort, and organising exhibitions. Thus, it comes as no surprise that more and more new generations of young artists file their applications here, dreaming of a co-operation with the gallery. The selection criteria are, however, very rigorous. Exhibitions are always accompanied by relevant catalogues, and the ones published by Galeria Art are an absolute exception in the world of commercial art galleries – the gray, rectangular, cardboard hardbacks have already become a hallmark of the gallery. In the catalogues by Galeria Art images are complemented by words: critical essays, interviews with artists and, sometimes, even short stores or poems – strictly literary texts inspired by painting. The list of authors includes Julia Hartwig, Jacek Dehnel, Marek Bieńczyk, Sławomir Shuty, Marta Dzido, Rafał Orbitowski, Adam Wiedemann, Małgorzata Baranowska, and Marian Pankowski. All the texts, catalogues and posters are also available in a digital version, since Galeria Art runs its own website – the best in Poland among other commercial galleries, or even among museums. In the field of art – modernity and tradition, quality and experiment, in the field of business – far-sightedness, a combination of commercial, exhibitory and editorial features. Galeria Art is a sensational rarity in the world of galleries, a pillar and a flagship of the Warsaw Department of the Association of Polish Artists and Designers.